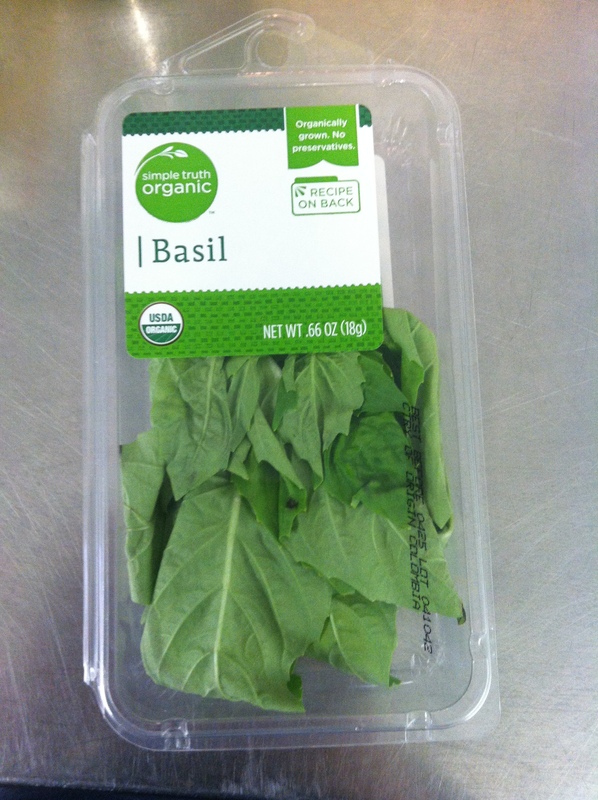 A visual for the guys to pass around to touch, feel, and smell fresh basil! WVU’s Human Nutrition and Foods department spearheaded a lesson within the existing program, “Fathers Hand” at the Shack Neighborhood House. For those of you that are unfamiliar with the Shack Neighborhood House, commonly known as the Shack, it is a non-profit community center for the surrounding communities of Morgantown, WV. The Shack runs programs for children, adolescents, teens, and families all year long. Throughout the school year, most programming is run after school and in the evening. In the summer time, programs are run throughout the day, as well as in the evening. Fathers Hand is an evening program that is designed for male adult mentors and male children. Normally, Fathers Hand every 1st, 2nd, and 4th Thursday of the month from 6pm-8pm. Since April is “Child and Family Awareness Month”, the Shack thought it would be nice to have Fathers Hand every Thursday this month, instead. Fathers Hand is an open program to increase male bonding and expose these men and young men, to anything and everything new that they normally wouldn’t have the opportunity to experience without the help from the Shack. 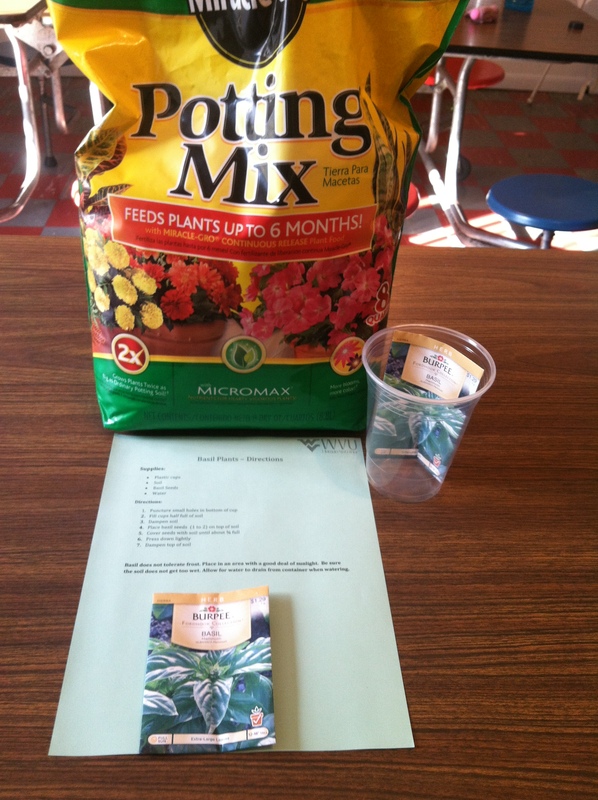 Well, tonight marked our second lesson and had an emphasis on fruits and vegetables, incorporating the use of container gardens. I developed the lesson plans for the 3 weeks of content for the program, as well as creating handouts, recipes, instructions for activities, and purchased the groceries. Within the lesson, a dinner/meal is included so, we try to always make something for the participants that’s easy to make AND healthy as well. 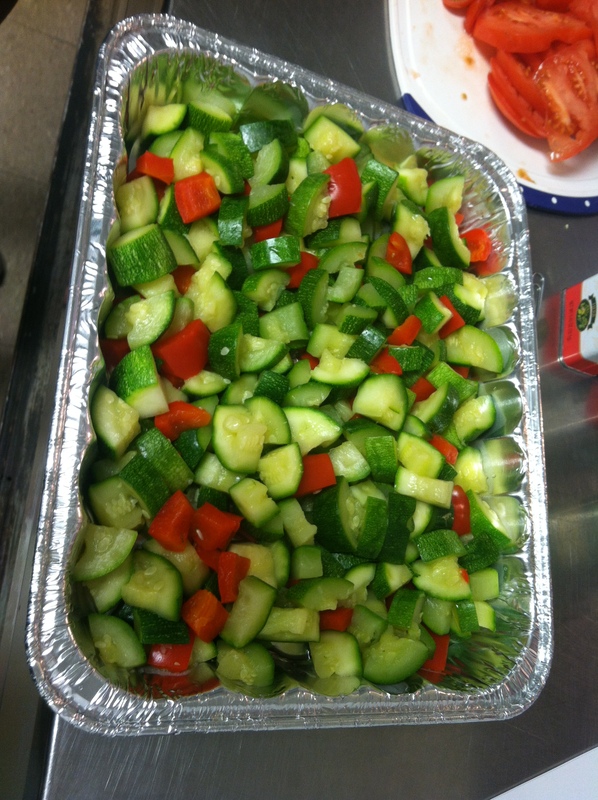 WVU Student Dietetic Association (SDA) volunteers to help cook the meals each lesson. This way, participants are encouraged to try to make these meals outside of the Shack, within their home environment. Tonight, the lesson consisted of information about how many servings of fruits and vegetables that everyone should be eating. The participants learned the concept of “5-A-Day”, which refers to eating 5 servings of fruits and vegetables each day. The theme of tonight’s lesson was BASIL! The activity was making container basil gardens out of plastic cups. This will serve as a “starter” garden for all the guys, adults included. 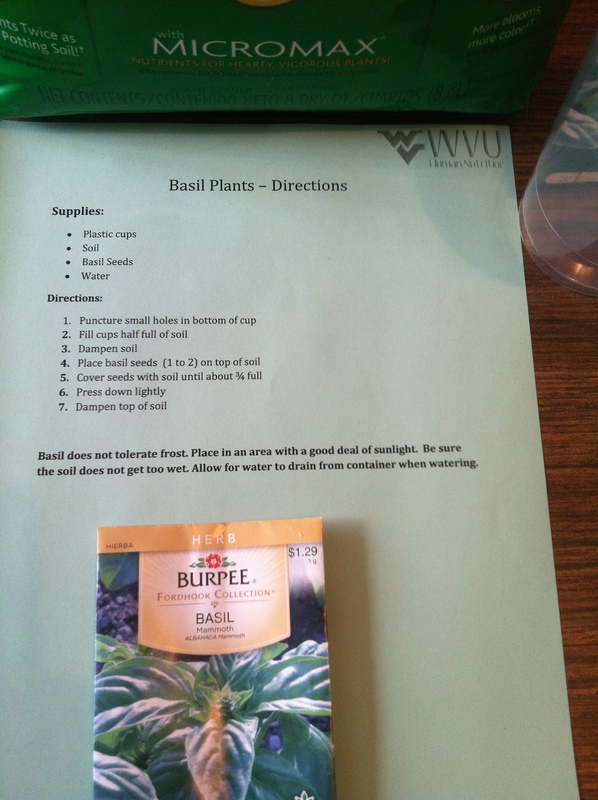 Both recipes that the participants were served, contained basil and were made with healthy ingredients, which the participants received recipe handouts on as well. The participants were educated on the MyPlate, using a poster, and focusing on fruits and vegetables. The lesson focused on fruit and vegetable identification, so fresh basil was passed around as a visual for everyone to touch, feel, and smell. The incorporation of fruits and vegetables that were unfamiliar like heirloom tomatoes, fresh basil, avocados, and mangoes was another visual for the participants. 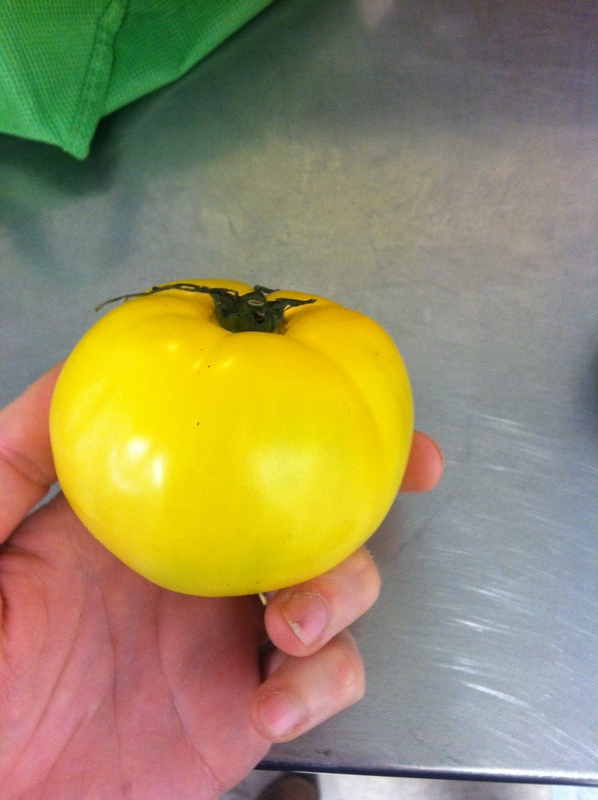 The lesson was geared towards green leafy vegetables but, also incorporated “new” and unfamiliar produce which we aim to accomplish overall to teach everyone food identification skills that they could use all year long! The beginning of the basil, tomato, and zucchini casserole! 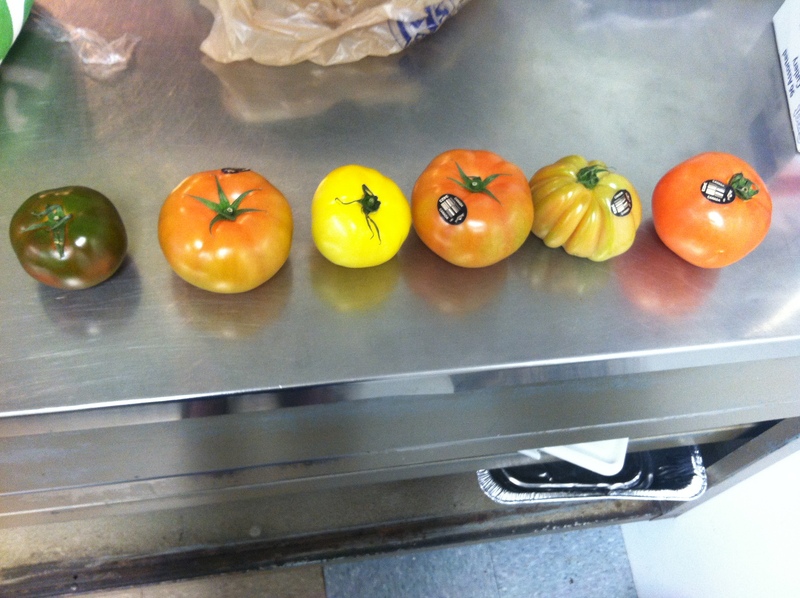 A variety of heirloom tomatoes to show the participants that veggies come in different colors, you wouldn’t think of! Our Healthy Roadtrip Has Begun! Yesterday, Monday March 4th, was the launch of this semester’s Shack Neighborhood House nutrition education programming. Every semester and summer, the WVU Didactic Program in Dietetics implements a nutrition education program at the Shack Neighborhood House. The Shack is no stranger to this group of future Dietitians. The two organizations have been collaborating for years now. Over the summer we ran “Carrot Sticks”- a nutrition education program focusing on food culture, smoothies, and fruits/vegetables. In the fall, we ran a program called “Racing the Rainbow”- a nutrition education program that focused on different colors of the rainbow correlating to the different food groups. All of our programs have a target population of youth, usually between the ages of K-5, or more specifically K-2. I’ve somewhat mastered a system as to how we organize each lesson plan within the programs. – I try to make sure that we find activities that the students can cognitively grasp, but also enjoy and learn from as well. This week, we focused on the region of Oregon. And we discussed the benefits of potatoes but, focused more on the health benefits of berries. 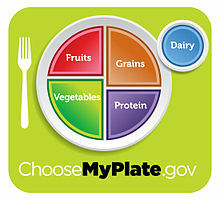 The undergraduates used a MyPlate visual as an aid to guide the students in questions, regarding different food groups. Each week, I will put stickers on the region that we “drove” to on our healthy roadtrip across America. 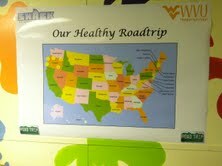 “Our Healthy Roadtrip” will continue for 5 additional lessons (excluding March 25th because of WVU’s Spring Recess). I took the liberty at creating a poster of the map of the U.S. to document all the different regions of the country, which the program will touch base on. 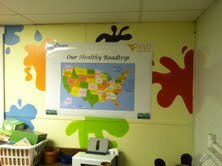 Only time will tell, if the Shack’s students start to really get into “Our Healthy Roadtrip” theme this Spring! The location of “Our Healthy Roadtrip” program! So, for the ISPP Dietetic Interns final food culture lesson plan on the semester, we decided to go along with our Guatemalan theme and name our final Taste Around the World: A Guatemalan Getaway. This week, instead of focusing our nutrition education and food culture towards Mexican flavors, we decided to head a little more South. Our nutrition education component of the program focused on the significance that fiber plays in the role of Guatemalan native’s diets and how it affects their health. We had on display a poster of the Guatemalan food guide compared to the US’s MyPlate. And boy, was there a difference! It was really interesting to see how many participants actually noticed the difference between each country’s food guide and how it impacted our healthy as well. As the ISPP Dietetic Interns did last time, we developed and hosted this food culture nutrition education program. Not only did we develop and run the entire program, we came prepared this time. With funds from the Student Dietetic Association, we invested in culinary equipment like knives and cutting boards. Me, being the thrifty gal that I am, found a place that sold large amounts of 7 inch Santoku knives and small cutting boards…. The Dollar Tree. Who would’ve thought? After weeks of calling bulk culinary companies, I finally found what we were looking for. This way, participants could have their own “Taste Around the World” kitchen set. And we could add some consistency to the development phases of the program. Overall, I would say the program was another success and I will never forget that good deals can be in the last place you would expect. So everyone can read our motto in the demo mirror! Always brushing up on our culinary knife skills! Our festive table cloth to go with our theme! The end product of our tamale adventure! I stumbled across a clip from Fox News on nutrition myths. The news station put into perspective how consumers seem to be confused about what’s really healthy versus unhealthy. For a professional opinion, the show brought on Elizabeth Ward, RD to play their version of Myth Busters for all those consumers who thought they were grocery shopping the “right” way. Elizabeth Ward is not only a RD, but also the author of “MyPlate for Moms: How to Feed Yourself and Your Family Better”. So, the host and guest host addressed 4 commonly thought myths from consumers across the country. Myth 1: All white foods are bad. 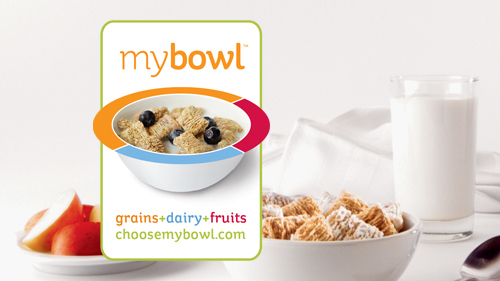 A common misconception is that consumers should avoid all white and tan colored foods. 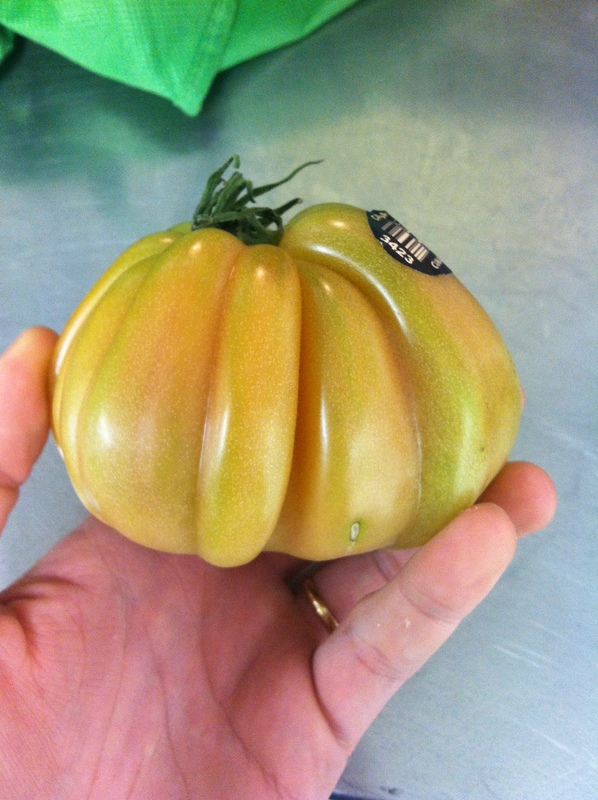 Consumers focus so much on bright colored fruits and vegetables, and apprehensively shy away from white colored foods. Consumers assume that they should avoid all white carbs because of their bad reputation. People need to understand that the key to a healthy diet is a balanced diet. There are white foods that consumers do not need to be afraid of! If they’re looking for those phytochemicals that are in all those bright, colorful veggies- there’s no need to stray away. Here are some white colored fruits and veggies to think about: cauliflower, mushrooms, bananas, dates, garlic, ginger, jicama, kohlrabi, onions, parsnips, shallots, turnips, and white corn. 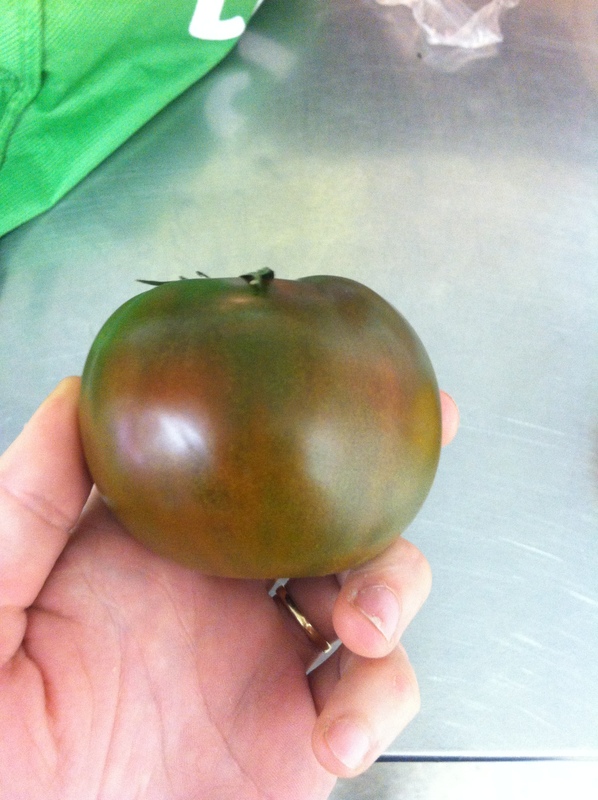 These foods also include those important phytochemicals that are in brighter colored produce. Myth 2: All canned fruits and vegetables are bad. Most consumers assume that canned fruits and vegetables are unhealthy. This is not true. 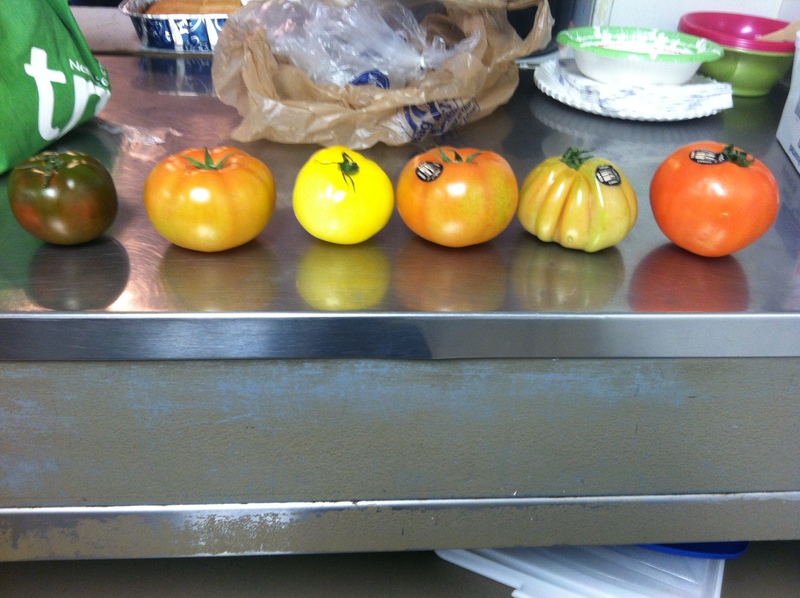 Elizabeth reminds viewers that not all canned fruits and vegetables are created equally. Canned fruits and vegetables are picked at ripeness. The canning process actually preserves the nutritional value in these foods. 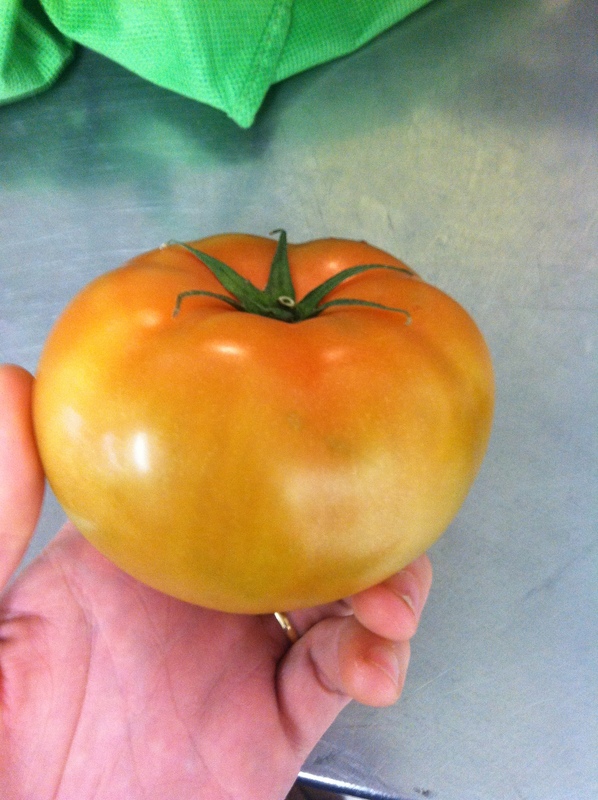 And this is especially important in those cold winter months when your favorite produce isn’t in season. Elizabeth Ward also reminds viewers that fruit cups in water or 100% juice is another form of a healthier canned food item. Myth 3: Eggs are as healthy as cigarettes. This statement was based on an observational study done by scientists. It wasn’t based on a cause and effect study. So, that alone implies biased reasoning. According to Harvard’s School of Public Health, a healthy person can eat 1 egg per day. I think that the uproar about this is the fact that yolk has a bad reputation, concerning cholesterol levels. But, our RD on-hand explains that yolks consist of 90% of an egg’s nutritional value. Myth 4: You lose weight by only exercising. A lot of consumers believe that they can eat whatever they want and just workout a little bit longer, and the weight will just shed off of them. This isn’t true either! Studies have shown that shorter exercises and cutting back on calories will result in more weight loss and for the long-run. And of course, cutting back on calories is definitely a major component in weight loss. Ridding unnecessary calories from your typical diet is the key to success. Again, the concept of moderation is stressed here again. Everything that a healthy person does to their body or consumes in their body should be in moderation. Physical exertion and calories included.